HP, Canon, Epson and Brother. As easy as you get a coffee refill at Starbucks, you can refill your inkjet cartridge. We keep it simple for customers. The technology inside our patented InkCenter® ensures consistent quality and a positive customer experience. 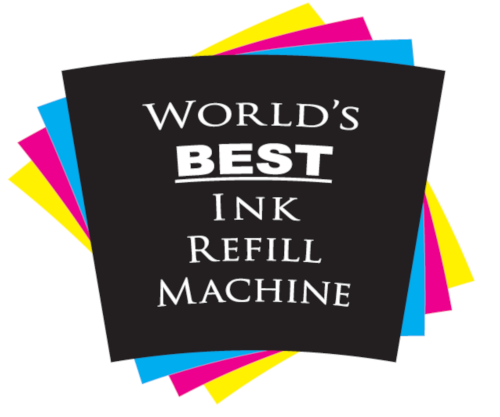 Our refilling stations support all leading OEM printer cartridge manufacturers. You don’t need any special kits or online fulfillment – simply bring your cartridge into one of our local retailers and have it refilled in minutes. View supported cartridges in the U.S.
We do it simply and in minutes. Need ink? Reuse your empty cartridges instead of throwing them away. Refill locally. Go to one of our retail partners for refilling multiple cartridges. Print for less. Refill your cartridges in minutes!